We love Pilates. And movement, and stretching, and the community that builds on people improving their health, together. Established in 2010, and growing steadily since, we are committed to maintaining a safe, knowledgeable and friendly environment for our clients to practice the Pilates method. We welcome beginners, and the more advanced practitioners too, and everyone in between. Our clients range in age from teenagers to 80 year olds! Everyone can benefit from Pilates. The Pilates Studio is fully furnished with traditional equipment from the most distinguished manufacturers in the field, including Gratz Industries, Pilates Designs by Basil and Balanced Body. 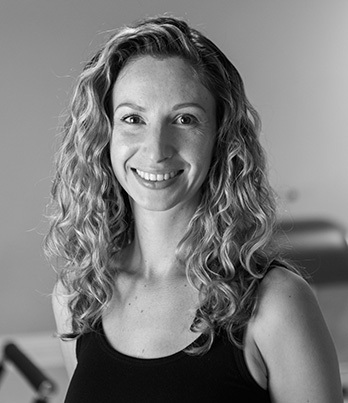 Shannon Schroeder is a PMA certified Pilates instructor and Stretch Therapy teacher. 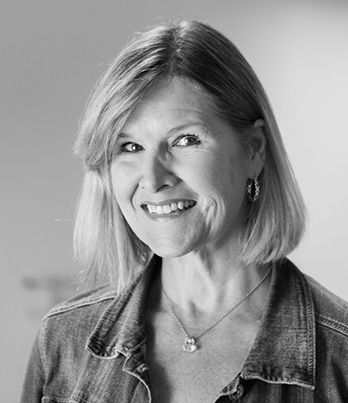 She trained under second generation master teacher, Risa Sheppard, and continues to sharpen her knowledge and understanding of movement with regular continuing education. 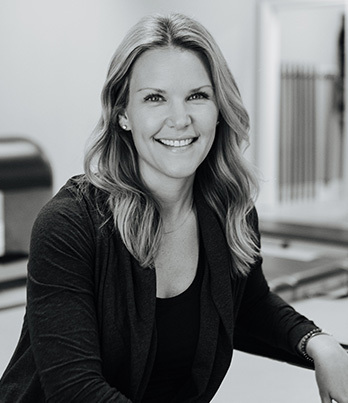 Shannon opened The Pilates Studio in 2010, and has since enjoyed the journey of creating an unpretentious atmosphere at the studio, one where everyone is welcomed and supported. “I find joy in watching our clients set and achieve goals. People make real progress within our walls.” Shannon is a Glendale native, raising her 3 children in our community with her firefighter husband. 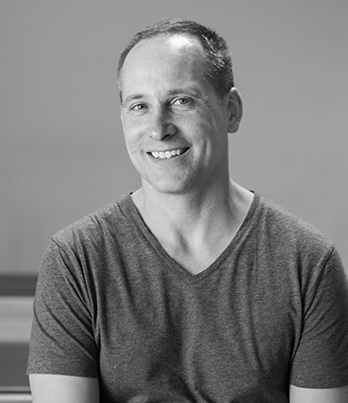 Having taught for more than a decade, Cameron’s approach to Pilates training is enriched by a diverse movement background that includes knowledge and skills from the Gyrotonic Expansion System, the Feldenkrais Method, Iyengar Yoga, and Hanna Somatics. He appreciates the opportunity to continue to learn and grow along with his clients. Cameron holds a B.A. from Pepperdine University and an M.F.A. from The Theatre School at DePaul University, Chicago. In the Fall of 2018, he will fulfill another passion of his—film—by attending UCLA to earn a Masters in Library Information & Science with a media archival specialization. Debbie John is a certified Pilates instructor and dance teacher. She studied Pilates at The Pilates Body and received her Pilates Certification from Pilates Sport Center in Studio City. She received a Dance Scholarship at Joe Tremaine's Dance Studio, and discovered Pilates while training to become a professional dancer. Debbie appreciates how much Pilates helps with core strength, dance technique, toning, stretching, strengthening, balance, posture, and the mind- body connection. It has helped her heal injuries and ease her back pain. Debbie loves teaching Pilates and helping others! 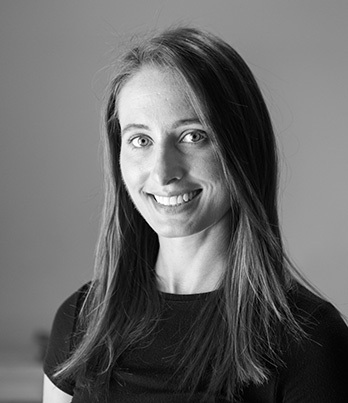 Sarah Heck is a certified Pilates instructor who earned her certificate under second generation Master Instructor, Risa Sheppard. Sarah has discovered the value of Pilates in easing her own back and knee pain, and in getting in shape after having her four children. She continues to dive deeper into the practice of Pilates and enjoys seeing how it translates to others to help them reach their goals and enjoy a fuller life. Kristen completed her Pilates teacher training with master instructor, Risa Sheppard. She has a joy of movement that stems from a background in dance and collegiate cheer leading. After her first Pilates lesson, she was hooked, and appreciates the mind-body connection, precision and flow of the method. She continues to sharpen her knowledge with continuing education in the field, fine tuning her skills. Kristen teaches both Pilates and Stretch work at the studio. Cara Newman Ruyle completed her Pilates certification with 2nd generation, master instructor Risa Sheppard. A dancer and athlete growing up, and marathoner in her 30's, Cara found Pilates a bit later in life. As her love of the work grew so did her desire to share it. She is excited to help others reach their own health goals. Cara holds a BA from the College of William and Mary, and an M.F.A. from the Theatre School of DePaul University. She is currently preparing for the PMA exam and can personally attest to the healing powers of movement. Let's Move Our Bodies! Taylor Rodman has been studying and practicing movement for as long as she canremember. She earned her BFA in dance with an emphasis in improvisation and choreography at The Boston Conservatory. There she was introduced to Pilates as cross training to her movement studies, and shortly after graduating she obtained her 600-hour Pilates certification through Alycea Ungaro's Real Pilates program. Taylor was immediately drawn to Pilates for its ability to optimize her movement both inside the dance studio and beyond. 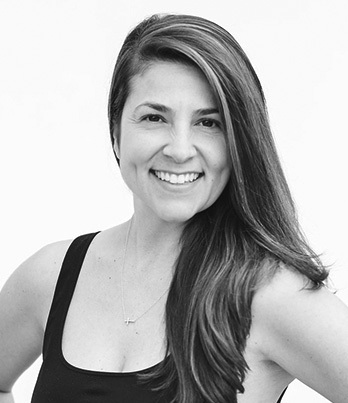 She has a passion for empowering her clients to reimagine their own physical capabilities through the Pilates method. Her years of movement training enable her to deliver true results for her clients, whether they’re working out for the first time or furthering their current practice. Taylor recently relocated to Los Angeles from Dallas, TX and when she’s not in the Pilates studio can be found freelance dancing and choreographing.